Our Save a Fire Truck, Ride a Fireman t-shirts & sweatshirts come in your choice of colors!� The perfect gift for the fireman in your life. As a special way to show your appreciation, buy them a great Save a Fire Truck, Ride a Fireman Coffee Mug. 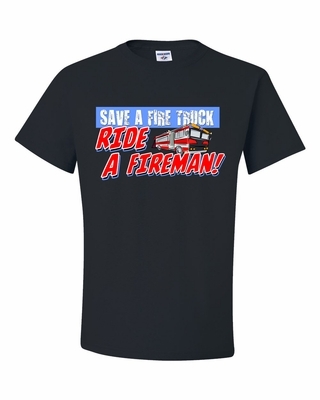 Remember� you found the Save a Fire Truck, Ride a Fireman Shirts at TShirtHub.com, where high quality came at a low price.